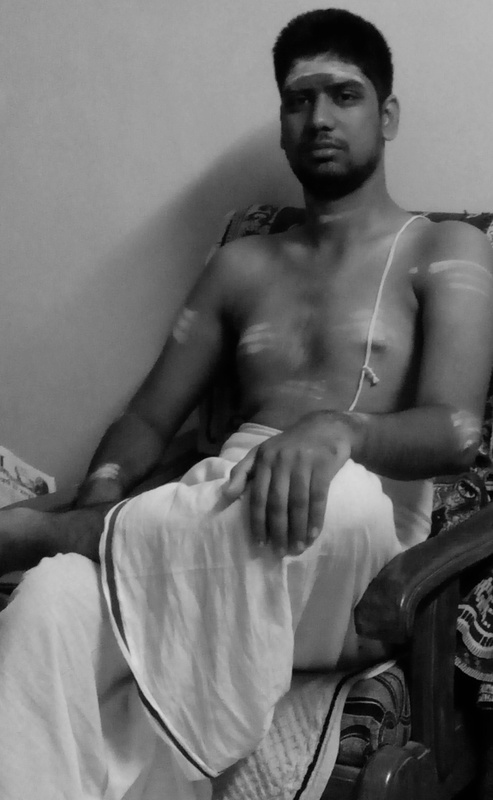 I’m a bramha-bhatta ( nAgar ) bramhan [ in lineage of ushnasa kAvya ( successors of kavi rishi</ having trayArsheya prvara ( vAshishTha maitrAvarana kaundinya ) with paipplAda ( paipplAyana ) gothra . A long time ago in Gujarat paippalAda shAkhA become extinct so our forefathers adopted shaunaka shAkhA with Acharya gothra ‘vaithayana ‘ ( trayArsheya pravara , svyambhu-aTharvA-daddhNgya Atharvana ) . Currently studying my original shAkhA ( paippalAda shAkhA ) with appropriate prAyachittas . 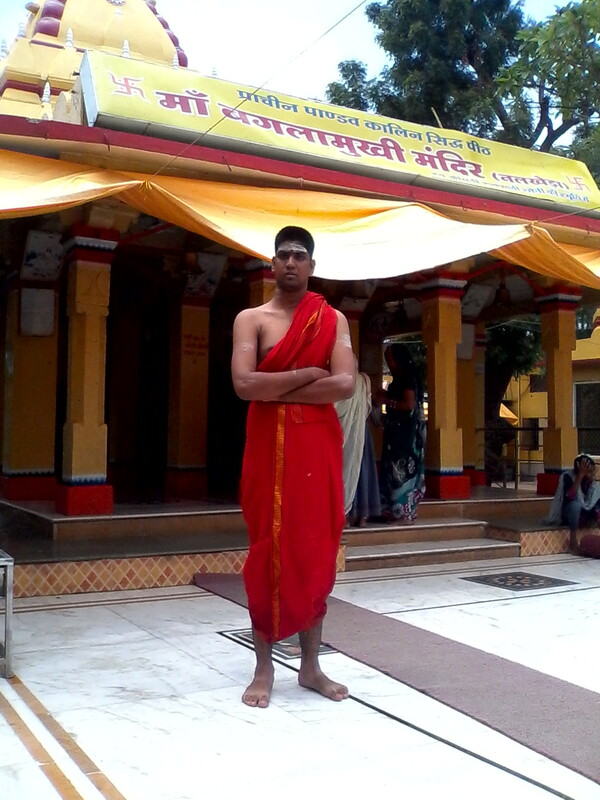 I resides in Ujjain ( avantI ,the holy city of mahAkAleshwara ) , one among seven holy cities. My grandfather is my Acharya who imparted this vedic wisdom to me. My aim of blogging is to preserve and make people know ,about lesser known and endangered tradition of atharvan veda. Currently I’m pursuing bachelor’s in engineering ( B.E.) 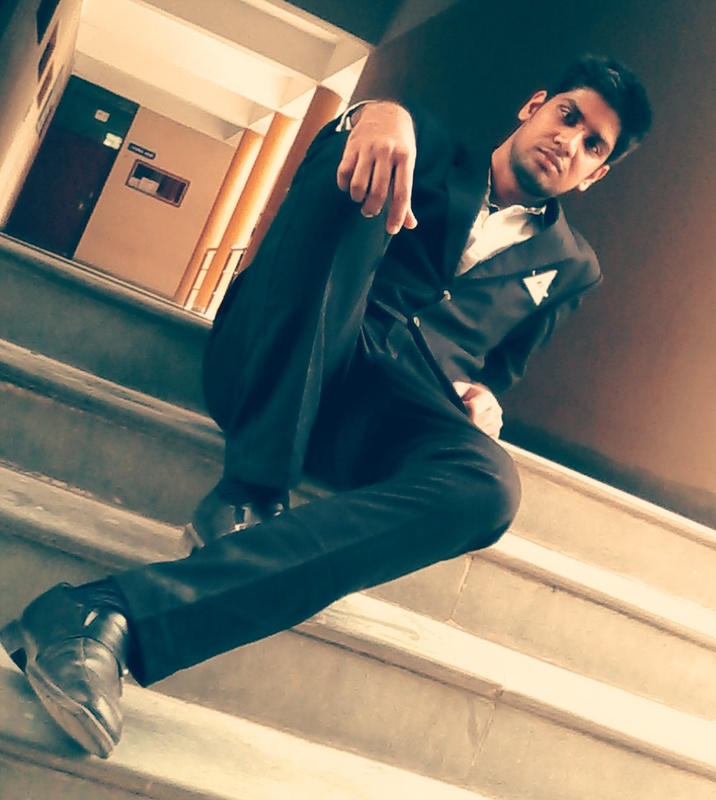 in Mechanical branch from Mahakal institute of technology and management ( MITM ). India, divided by complex scripts needs simple script at national level. As per Google Transliteration Gujanagari seems to be simplest nukta and shirorekha free script along with Roman script (resembling old Brahmi script) ? Here is Simplified Sanskrit/Devanagari Script. Very few pundits will reveal this truth. Sir namaskaram I am very impressed with your blog. Can you help me. I am looking for Sama Mantra Brahmana otherwise known as Chandogya Brahmana with Svara markings and/or audio file of the same. As for as my knowledge once like that of shatpaTha brAhman and taittirIya brAhman , all 8 brAhmans of sAmaveda were having bhAshika svars but with time they lost svars .I have seen text of chhAndoga brAhman without svaras but heard that ,In south chhAndoga brAhman was again marked with svaras in taittirIya system but I think this was not to be done since sAmaveda have it’s own technique of svara marking using digits like १, २ and letters र, कetc and own style of recitation . ( A link to chhAndoga brAhman without svaras is http://is1.mum.edu/vedicreserve/ ) .In north mantras from mantra brahman are generally recited in ekashrutI mode and ‘subodhInI paddhatI’ and ‘chhAndoga parishhishTha ‘ are followed for same Veda rituals . Even sAma sandhyA have major difference in north and south . I have found the mantra “prajanane Bhrahma tishtatu” mantra in the shukla yajurvediya mahanyasam on your bolg. Sir, Could you please let me know where this mantra exists in the vedas. Mantras ‘अग्निर्मे ‘ are from taittirIya brAhman. Thanks for prompt reply and giving the information about the source of 6th nyasam. I have searched whole yajurveda but was not able to find the mantra, but yes I was able to find the “agnirme” mantram in the kathakam of taittirIya brahmana as you said. As I told you mantras of 6 th nyAsaM are sautra mantras found in boudhyanokta mahAnyAsaM , rAvanokta mahAnyAsaM , bruhad parAsharokta mahAnyAsaM .But mahAnyAsaM from nepAla mandala lack it ( As my studies show nepAla mahAnyAsaM is much authentic and I personally recommend use of it to shukla yajurvedI friends ) .For source of other mantras of mahanyAsaM ( of shukla yajurved ) you should either search them in shukla yajurveda samhitA or in rUdrashtadhyayI ( in contrast with krishna yajurveda’s rUdraM ) .On following link I have uploaded a PDF of rUdrashtadhyayI and audios ( nepAlI + maithila recitation style which is nearest to original recital style of shukla yajurveda ).Audio no. 3 and 4 have namakaM and camakaM rest of audios have other adhyAyas of rUdrI. Thanks for the info. But, the link which you have provided is not working. Could you please provide any alternative link. If possible could you please give me the pdf of baudhayana shrauta sutra also(tranliterated pdf if you have one). I’m sorry for inconvenience , actually while writing link it got damaged .You can go directly to ‘home ‘ option on this blog,my very recent post is this ‘ rUdrAshthadhyAyI ‘( having audios and a pdf of it ) .You can download baudhyAyana sutra from ‘ maharshi’s vedic text collection ‘ . ( Sir I mentioned that mantras of 6 nyAsam are sautra mantra सौत्र not srauta mantras श्रौत ). I could not find the “prajanane brahma tishtatu” mantra in baudhayana shrauta sutra. Could you please let me know where exactly it is. I was able to find the “prajanane” mantra in the Baudhayana grihya sutra. I am very thankful to you for directing me to the source of this mantra. Also, you have told that mahAnyAsaM from nepAla mandala lacks this mantra, but I am able to see this mantra in your blog only on “mahAnyAsaM from nepAla mandala”. Only thing is it starts with prajananam me brahma tishtatu instead of “prajanane”. However thanks for helping me out. mantra so we can’t regard the mantra as identical mantra .We can’t say मनोज्योति mantra is their in shuklayajurveda and मनोजूति in krishnayajurveda.krishnayaju lacks mantra with starting मनोजूति and shuklayajurveda lacks mantra with starting मनोज्योति. Even in case of Agama we can’t regard ॐ नमः शिवाय and ॐ शिवाय नमः mantras as identical.That’s why I made such statement that nepAla mahAnyAsaM lacks this mantras. Thanks for the info and giving clarification on this. Would like to have a chat with you. Kindly forward an email address. Sure sir ,I have mentioned email address and warmly waiting for mail . Could you please let me know in which verse of vajasaneyi samhita in shukla yajurveda, Rudra is identified with Siva. In rudrAshtadhyAyI , chapter 5 mantra 2nd (shukla yajurveda vAjasaneya samhitA chapter 16 mantra 2nd ), rudra is identified with shivA ( yA te rUdra shivA tanUr ghorA……. ) directly and also they are apparently unified in first 16 mantras of same chapter . How about VS 3.63 . Does this address Rudra Siva. No this verse is not addressed to shivA , according to my understanding and bhAshya of mahIdhara and Uvvata on vAjasaneya samhitA this mantra is dedicated to the ‘ razor / blade ( in Sanskrit it is ‘kshura’ ) . Here shivO nAmasi means oh ‘kshura’ your name is good / ( here shiva means good / fortunate ) .This mantra is employed in shaving of yajmAna at different occasions ( AdhanaM / somayAjaM etc ) and also used in chudAkaranaM , upanayanaM etc. I am Shashwata Chowdhury ( Samvedin, Kuthuma Sakhadhyai,Kasyapa Gotra, Apsar Naidhubra Pravara, Our ancestors were from bihar, now we reside in bengal). Is there anyway to contact with you, I mean directly? I need a help or rather I need a solution regarding a problem. It is about Paithinasi Dharmasutra. If a married woman had set fire to or lit her fathers pyre when should she perform the sraddha rite for him? Is it after 10 days or 3 days? Regarding the fact that that man has no son to perform it and the son in law of that guy is also unwilling to do it. By the reference of Agni Puran some are saying that it needs be done on the eleventh day prior to the death time. But Paithinasi says otherwise. Since kalpasutra is greater than puranas the citation of Paithinasi Dharmasutra is greater than the source of agni purana. But I am unable to find Paithinasi dharmasutra. Please help me. Happy to see a sAmavedins ,also got your fb request but there are some issues with my messenger .Plz mail me at darkdevil114@rocketmail.com I will help you . But for sAmavedins gauthama smruthi and kaukila smrtuthis are dharma shastra to be followed paithinasi and angirasa smruthis are for atharvavedins. You know there are lot of difference between smruthis too so one should follow n refer to own shakha’s smruthi then should refer to other dharma shastras. Namaste. Very happy to see such an extensive blog on Veda and other shastra. The light of our religion can be brightened only by the flame of tapas. Even if no more Rishis are to be born in this yuga, people need to hear and feel the real power of these mantra from the people who are themselves lit up. All the best for your endeavours in this blog and your upasana. Thank you sir for appreciation . Namaskar Ji, It is very useful for all brahmin category, i like this website in-formations. I am delighted to see this blog. Hats off to Animesh nAgar. I wish more people can retain their vedic heritage. I have not done this. you remind me to work on this to keep our tradition. namaskar to Animesh. abhivAdaye kAshyapa AvatsAra naithrava tryArshEya naithrapa kAshyapa gothrah Apasthambha sUtrah yajusshAkhAdhyAyi Sri Krishna Sharman nAmahAm asmi Bhuh. Sir Thank you for appreciation. All ambA and gurunATha’s blessings . This is responsible duty of every brAhman to propagate our vedic culture. May ambA bless you dear sir. I’m sorry but I don’t have the srIsuktaM of shankhAyan shAkhA but I know persons having manuscript of it . I was looking at your blog. I was looking for the PaviTra saama suktam. The one that you have posted is not very legible. Please see if you can share it with me. Namaste , Sure I will ,Please mail me or mentioned your email address as reply to this comment . Sure shortly i will published post on them . Does this verse come in the Vedas? I had the doubt whether it was really present in the Vedas. Thank you for your reply Animesh Ji. I want to know what bhaga/shaka does the above link talk about? Animesh Ji, Did you happen to see my post? Thank you Sir. Do you know where I ran the commentaries of Sayanacharya and Bhatta Bhaskara in English? Is it available online? 1) Ashwaroodamba Sahasranama, Kavacha, Hryuda and Khadgamala. 3) AstaMukha Gandaberunda Avarana krama. I do ‘anUmOdanA ‘ for you sincere upAsana of srI vidyA for last 20 years. Sir I’m sorry to say but i don’t have the stotras that you mentioned in comment but I assure in case I get any of them will defiantly share with you.